In order for the ICO participants to receive their tokens is to go through the KYC procedure. Given the big number of participants and in order to proceed with the distribution of the GENE tokens in a timely fashion we will distribute the tokens as soon as we reach 90% of KYC completion. We will alert all the remaining participants and give them time to complete the KYC, when done we will send them the tokens as well. This process is only needed for the ICO participants, not the bounty hunters. Following we are providing you with the steps to complete the KYC procedure and prepare your profile to receive the GENE Tokens. In the top bar you will will see the “KYC” option. Click it. All participants and Bounty Hunters need to provide their ETH (ERC-20) wallet address in order for us to send the GENE Tokens. Anyone who has not provided the ETH (ERC-20) wallet address will not be able to receive tokens. In the top bar you will will see the “Profile” option. Click it. That’s it. You only have to wait for the Tokens to land to your wallet. We will keep you posted. We are excited to announce that the PARKGENE crowdsale has come to a close. We would firstly like to express our gratitude towards our community for their overwhelming support, and for believing in our vision. Well over 10,000 participants are part of our project already by participating in the ICO, while more than 20,000 people have engaged with our social media channels sharing their support and enthusiasm throughout this campaign. On the crowdsale, the last couple of weeks have led to a strong finish and our tally stands at a total of 294,850,587.33 tokens allocated out of a 350 Million supply. Of the total tokens allocated, approximately 243 million are pending KYC before distribution, approximately 51 Million are pending banking clearances and 1 million tokens are allocated to the GENE wallet for sale to latecomers with a 25% bonus until the tokens are distributed to the participants and start trading in exchanges. We will burn a minimum of 55,149,412.67 GENE Tokens which were not sold, together with any quantity of GENE Tokens which their participants fail the KYC or bank clearance. The next step of the ICO is the necessary KYC phase before the distribution of the GENE token to the participants. Participants will have to complete the KYC check through the KYC section at https://tokensale.genewalletnew.wpengine.com. Bounty hunters do not need to go through the KYC check. Our progress on the product front has us at the launch of the GENE wallet with more than 3500 thousand downloads within 5 days and just a few weeks away from the launch of the PARKGENE service. We will keep you regularly updated on the progress of the PARKGENE crowdsale activities and on the PARKGENE service through our website (https://genewalletnew.wpengine.com), our Telegram channel (https://t.me/parkgene) and via Email. PARKGENE PTE LTD is scalable blockchain-based platform that enables drivers to book parking directly from individual parking space owners at lower prices and with increased convenience. PARKGENE’s decentralized technology creates new parking spots in already crowded cities, which now remain unutilized, by enabling not only peer-to-peer but also the seamless integration of all existing parking technology. 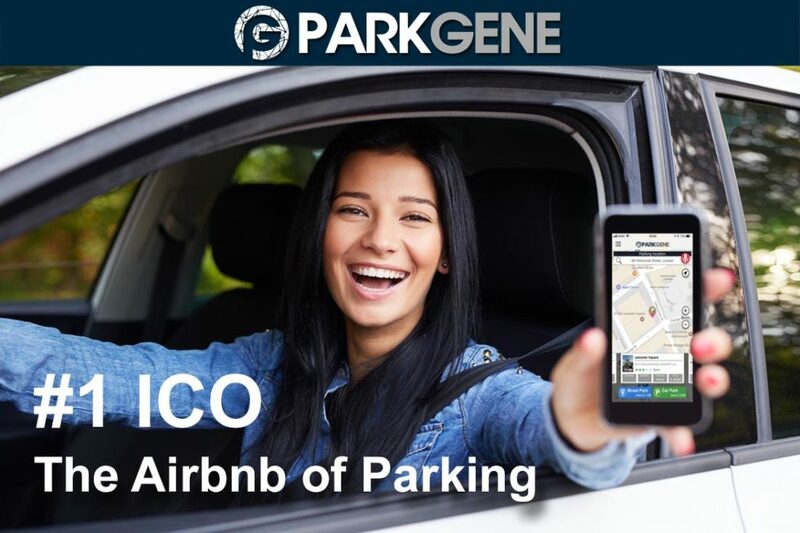 PARKGENE is issuing the GENE token, to be used as a means of payment for parking between drivers and parking spot owners. In-line with our product development roadmap we are happy to announce the launch of GENE Wallet and the addition of the GENE Card as an extension of the PARKGENE ecosystem. These offer massive growth potential for the GENE token as a means of payment for numerous types of transactions and merchants. The launch of the GENE Wallet and the GENE Card, comes as a result of our continuous research and development effort in making PARKGENE the standard for the next generation Parking Market and enable the GENE Token to become the primary means of payment for all automotive industry payments. We firstly enable users to store their GENE tokens – secondly store other cryptocurrency as well as FIAT currency and to use the wallet to pay for services across the PARKGENE and the automotive industry ecosystems, as well as spending their cryptocurrency for traditional payments of any kind. ‘’We are excited to launch the GENE Wallet, a powerful, convenient, and differentiated multi-cryptocurrency wallet, for iOS and Android, able to store Ether, BTC, GENE and other ERC-20 Tokens and handle credit and debit cards for FIAT transactions’’ said John Zarifis, CTO of PARKGENE, “In addition to the GENE Mobile Wallet launch, we are adding E-Money / Debit Card Functionality with the addition of the GENE Card, planned for Q3 2018, in our roadmap. Users will be able to connect their GENE wallet to a physical card through which they can buy products and services using FIAT currency. The GENE Card will provide a powerful, easy, and flexible way to exchange cryptocurrencies to FIAT by utilizing real-time dynamic algorithms to maximize the user’s Crypto currency portfolio value”. The GENE Wallet initial release brings a standard set of features with everything you would expect from a robust mobile wallet application. The GENE Wallet will allow users to conveniently store, buy, and redeem GENE tokens from day 1, while Bitcoin and ETH are already integrated and their full functionality will be available before March 15. The GENE Wallet will also establish a new high-volume acquisition channel for PARKGENE P2P Parking service and present cross selling opportunities for related automotive industry products and services through the GENE Wallet API, further increasing demand for GENE tokens across sectors. Transactions between GENE Wallets for any cryptocurrency carry zero commission. Additionally, GENE tokens will be the means of payment for transaction fees outside the ecosystem with 33% of these tokens being burned. API / SDK to provide developers the ability to tap into the GENE wallet ecosystem as a cryptocurrency payment option. This way GENE wallet users can tap into innovative peer-to-peer and professional services in one of the most rapidly developing industrial and service sectors, the Automotive industry. Exchange services for supported cryptocurrencies. The GENE wallet application is a mobile application available at the Google Play Store for Android devices. An IOS version is pending release in the Apple Store. The E-Money Debit Card Functionality is planned for Q3, 2018. The GENE wallet API/SDK is available Q2, 2018.